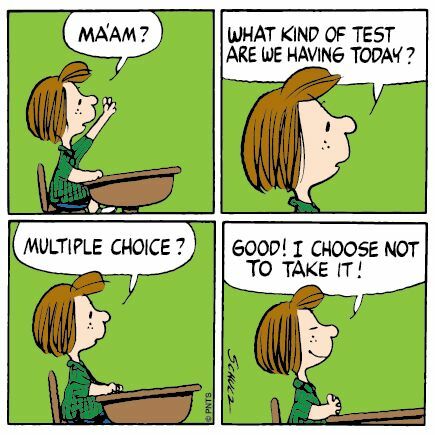 Standardized state tests were previously all multiple choice--a format with questionable validity. The Smarter Balanced Test increases relevance and validity for each student by adapting to each student's progress as they answer test questions. Correct answers proceed to more difficult questions, while incorrect answers proceed to easier questions (Smarter Balanced Assessment Consortium). This is known as Computer Adaptive Testing (CAT). Students in 3rd, 4th, and 5th Grade will take CAT tests, as well as Performance Task assessments in English Language Arts and Math. Students must be able to type, especially on the English Language Arts tests. Sometimes they must provide evidence for the multiple choice answers they selected. Other times they may need to rewrite or extend a written selection provided. In the Performance Tasks, students demonstrate critical thinking and problem solving skills. They are presented with one particular theme and solve problems, explaining their thinking, in relation to the theme. These Performance Task tests take one or two class periods.